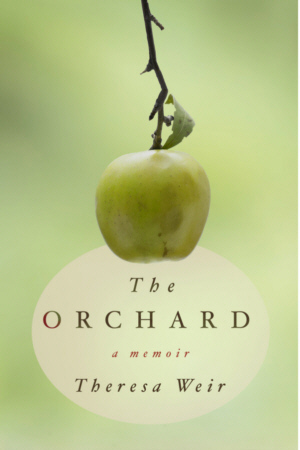 THE ORCHARD is the story of a street-smart city girl who must adapt to a new life on an apple farm after she falls in love with Adrian Curtis, the golden boy of a prominent local family whose lives and orchards seem to be cursed. Married after only three months, young Theresa finds life with Adrian on the farm far more difficult and dangerous than she suspected. Rejected by her husband’s family as an outsider, she slowly educates herself about the isolated world of farming, even as she falls more deeply in love with her husband, a man she at first hardly knew. But when a codling moth epidemic threatens to irreparably destroy the orchard, that fragile new love will be tested as she and Adrian fight to save the land that has been in his family for generations.